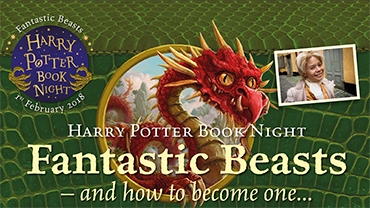 Join us for the annual Harry Potter Book Night for cosplay, tea & snacks, and a quiz with prizes. Cherry Koivula, cosplayer extraordinaire and well-known from multiple conventions from all over Sweden, will talk about how to dress the part. Dress up as your favourite character – competition with prizes! Get your ticket (70:-) at the bookshop today – limited space!